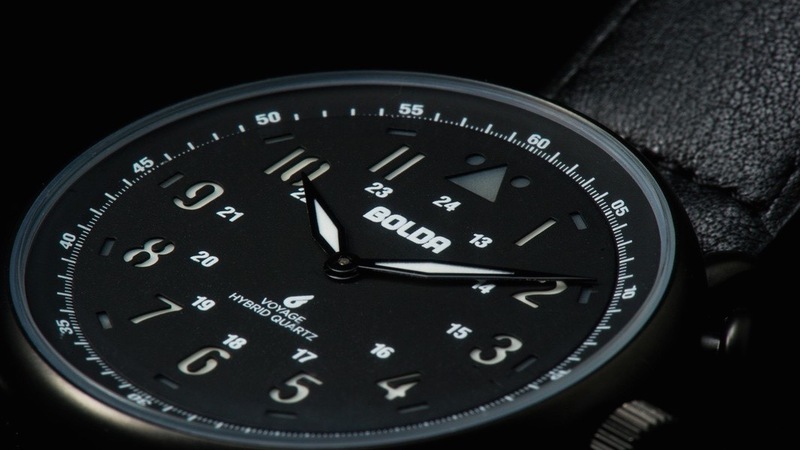 The BOLDR Voyage smartwatch has hit Kickstarter, which aims to blend analogue style and tech smarts. First revealed on Worn and Wound, the Voyage features a notification system to let you know when you need to check your watch. Plus, the battery life supposedly lasts half a year, so recharging it won't be a nightly task. 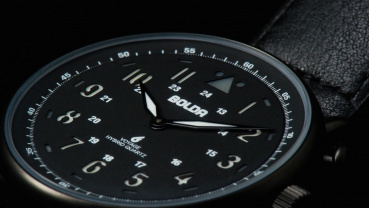 BOLDR's creative team wanted to incorporate the aesthetic of classic quartz watches with the technology of today's wearables. 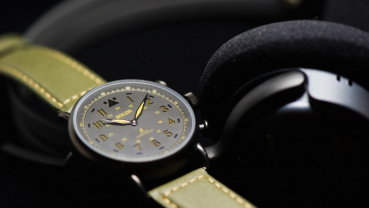 The result is an aviator style watch with a built-in pedometer, notification system, and remote camera controller. You cannot make or receive calls on the device, but we all still have our smartphones in our pockets right now anyway, don't we. The pedometer tracks your daily movement goals by counting your steps and averaging your calories burned. There is a dash on the dial that represents the percentage toward your goal that you've reached each hour. The notification system lights up and sends a vibration to your wrist when you receive a phone call or text message. You will also get a poke when you are too far away from your phone, something that would be a nice feature on Watch OS. The notification system communicates with your smartphone via a compatible app that syncs using Bluetooth 4.0. The app is compatible with both Android and iOS. 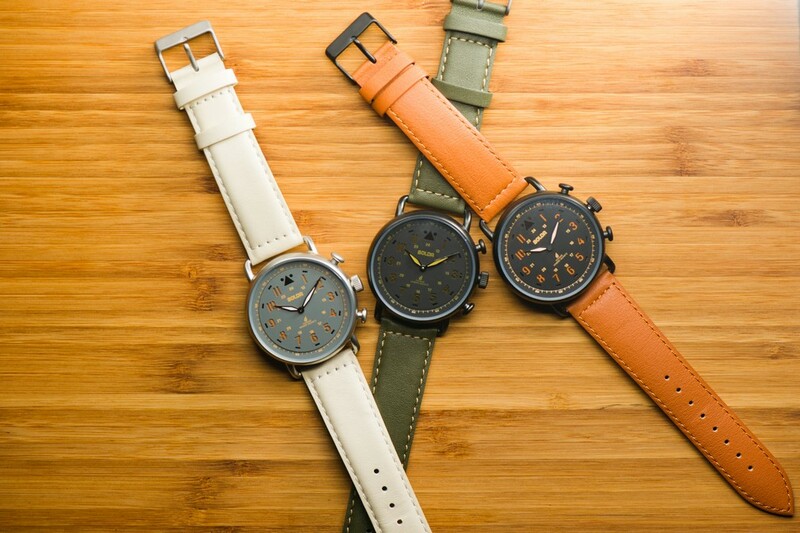 The camera shutter control feature lets you snap a picture from your wrist while your phone is far away. No more need for a selfie stick. The most popular feature of the Voyage, other than its looks, will be the extended battery life. Since it isn't working up a lot of data like traditional smartwatches, the company claims the CR2032 replaceable battery will last up to three months. 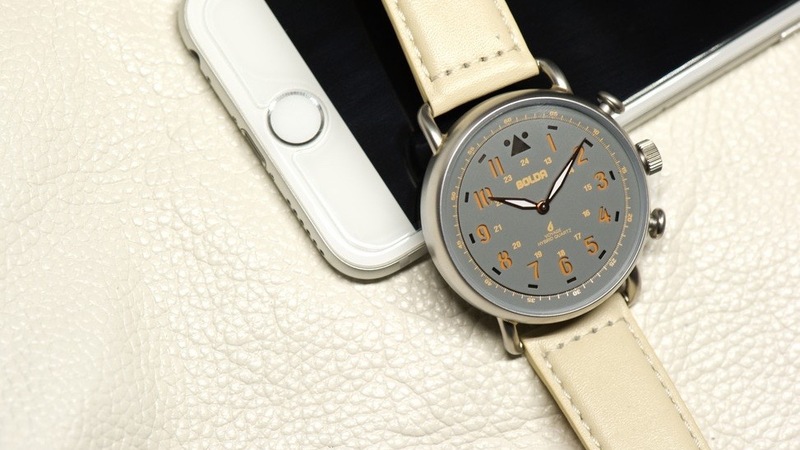 There is also a separate watch-only battery embedded to drive the mechanism, that lasts up to three years. The Voyager is now up on Kickstarter with a starting pledge price of $179 (the early bird tier has already sold out). Shipping is estimated for April 2016.